Earlier this month, a banner reading "Japanese Only" hung inside Saitama Stadium 2002. The incident led to the Urawa Red Diamonds soccer team being punished: This weekend, the team was forced to play in an empty stadium. And yes, the team is being punished for the actions of insensitive fans. AFP reports that the Urawa president Keizo Fuchita said fans hung the banner so foreigners would not sit in the section behind the goal—which is considered "sacred ground" by diehard fans. "I don't think the fans who put that banner out realised how seriously it would be taken," an Urawa fan told AFP. "If that happened in Europe, with a racist banner, it'd be normal for you to be punished." On 2ch, Japan's largest online forum, photos of this weekend's match between Urawa and Shimizu S-Pulse showed a stadium devoid of fans. It's quite a different sight from the team's typical matches, which draw big crowds. 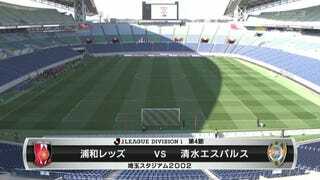 Many 2ch commenters noted how odd the images of two professional J-League teams playing in an empty stadium looked. "Seems lonely..." wrote one 2ch commenter. "I can't even fathom the players' mental state," wrote another. Others thought the images looked strangely funny. For future games, AP reports that the team is also banning fans from displaying any banners or signs at the stadium. "Like many foreigners here I love Japan and the Japanese people," Shimizu's Iranian-American coach Afshin Ghotbi told AP. "Japanese people are kind and polite. If there are a few ignorant people in this country, let's teach them." This Sunday's game ended in a 1-1 tie.